Iris created “KETO-TO-GO” when she became ill with no results-oriented help from a number of doctors. Iris found that The Ketogenic Diet was her solution. She also came to learn that doing this diet properly can become an all-encompassing and full time job. Iris could NOT find one 4:1 Ketogenic Food option in any store or on line, nothing, anywhere! In addition, Iris accidentally (at first) created some imaginative new food options and combinations that were more than just tolerable, they were exceptionally yummy. Iris shared her Keto Yummies with friends who started demanding repeat meals. It is out of the deepest desire to be of service and lessen suffering in others wanting to try the Ketogenic Lifestyle that KETO-TO-GO was created. 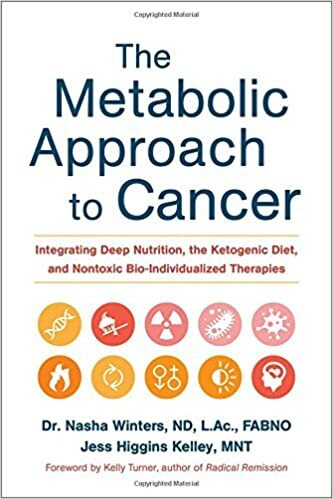 Iris’ personal passion and motivation ~ Iris’ Dad died a horrible death from Pancreatic Cancer and pro-actively Iris believes that The Ketogenic Diet will reduce her chances of following in his footsteps since the studies by The Ketopet Sanctuary and Epigenix Foundation with healing dogs with Cancer has been so promising and even more promising the most recent medically supervised treatments of high-stage Cancer Patients in Turkey that had “miraculous” results of both remissions and improvements previously unseen within the medical community. 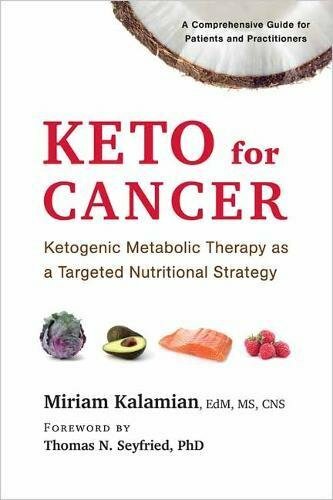 (Look up: Dr. Abdul Kadir Slocum from the ChemoThermia Oncology Center in Turkey and their six year observations of advanced Cancer patients using Ketogenic Diets as part of their treatment schedules.) It is because of this and her belief that The Ketogenic Diet is prevention for her, that she has dived with passion into creating, building and sharing the KETO-TO-GO experience of truly yummy food combinations that make sticking to a Ketogenic Diet both easy and something to look forward to! Iris’ continuing role with KETO-TO-GO is to be continually improving menu items and designing new food combinations, interacting with Doctors and Dieticians to continually be improving and advancing a health oriented objective to all participants and staying on top of the latest health findings to incorporate into the Yummies that KETO-TO-GO cooks up and makes available. Iris looks forward to more advice from Medical Professionals to continue to improve and be the food sources that Ketogenic Dieters turn to for their sustenance. Iris not only taste tests all products that come out of the kitchen, but she lives on them as well to test viability in staying in Ketosis while using the products and also testing how they feel in the body. No product gets released from KETO-TO-GO without first being in the company owner's regular diet for a period of time. Frankie is a one of a kind genius in the kitchen. As Sous Chef and Kitchen Manager for KETO TO GO, Frankie brings a wealth of experience from a life-time in the Restaurant and Food business. Born into a family of chef's and restaurateurs, Frankie started off in the Cooking Business at a very young age, always with his family in their restaurants, he learned all aspects of the business and stuck to it his entire life. Frankie has worked side by side with some of the most famous and world renowned chefs in our area, from working with Larry Forgione at an American Place, at Windows on the World with Philippe Feray and Mark Murphy, Frankie is no stranger to pumping out cuisine at the highest level. He has also worked alongside Mark Lahm at Henry's End, Chadwicks and at the River Cafe. As a Sous Chef at the Metropolitan Museum in Manhattan Frankie got his hands into the thick of high end high volume production. With a team of high quality kitchen helpers, Frankie has taken over the KETO TO GO kitchen and is thrilling KETOGENIC DIETERS both with Iris' original KETO recipes and also adding some of his own when it comes to preparing our HIGH END KETO MEALS! Customers are thrilled when they taste KETO TO GO items for the first time prepared by Sous Chef Franki! We have taken food-as-medicine and made it into an art form and something to look forward to as we use this type of eating to change our chemistry. Dr. Rowen graduated Phi Beta Kappa from Johns Hopkins University (1971), followed by medical school at the University of California at San Francisco San Francisco (1975). He has been board certified and re-certified by the American Boards of Family Practice and Emergency Medicine. He also served on the Alaska State Medical Board. Dr. Rowen is affectionately known as "The Father of Medical Freedom" for pioneering the nation's first law protecting alternative medicine in 1990, in Alaska. Dr. Su is a long practicing integrative physician, originally trained as a nurse! Her interests are all aspects of integrative medicine. She is a Phi Beta Kappa ​graduate of UCLA and graduated UC Irvine Medical School in 1979. Following medical school, she trained in Family Practice. Dr. Su was educated in acupuncture in China in the 1980s. Drs. Rowen and Su, a married couple with a single vision of patients actually healing, have a combined experience of well over 66 years in the field of integrative medicine. They have attended medical meetings worldwide, and have traveled worldwide to share their knowledge and experience, especially in the field of oxidative medicine. The above picture is of a successful single treatment taught in India by the couple to an open-minded hospital staff. Here, a patient (pictured with Dr. Su) experienced total relief in mere seconds from a frozen shoulder, just administered by her orthopedist. Dr. Dominguez completed BS in Kinesiology at UCLA, obtained her MD from UC San Diego, then completed her Family Medicine Residency at Long Beach Memorial Medical Center. As a resident, her passion for mothers and infants inspired her to complete additional training in Maternity Care. During this time, she received the Mead Johnson Leadership Award, which annually recognizes a select group of 15 residents nationwide for their leadership and community involvement. Dr. Dominguez served as the Chief Resident for Obstetrics at Long Beach Memorial, delivering hundreds of babies and increasing her expertise in reproductive and hormonal health. Expanding her medical expertise and care, in 2013 Dr. Dominguez completed a fellowship in Integrative Cancer Therapies under Dr. Mark Rosenberg and the Academy of Anti-Aging and Regenerative Medicine. Dr Christine Salter is a native of Great Britain, obtained her BSc (hon) in Physiology & Biochemistry from the University of Reading, UK. With extensive training and experience in osteopathic, naturopathic, allopathic and chiropractic medicine, she is an expert in the practice of Integrative Holistic Medicine. Dr. Salter is a graduate of the British College of Naturopathy & Osteopathy, Logan University (formerly Logan College of Chiropractic), and St. Louis University School of Medicine. She continued her medical training at Mercy Medical Center (formerly St. John’s Mercy Medical Center) Family Medicine Residency program. Dr. Salter is a board certified diplomate of the American Board of Family Medicine (ABFM), the American Board of Integrative Holistic Medicine (ABIHM), the new American Board of Integrative Medicine, and the American Board of Obesity Medicine (ABOM). She is also a member of the Institute of Functional Medicine. Doctor of Osteopathic Medicine with specialty in Metabolic and Nutritional Medicine. http://www.healthyandstrong.com. Dr. Daniel Thomas is a preventive medicine physician in Mount Dora, Florida. He received his medical degree from Des Moines University College of Osteopathic Medicine and has been in practice for more than 20 years. He also speaks multiple languages, including Spanish. Dr. Torres-Thomas is a seasoned registered nurse and a published clinical researcher with over 30 years of experience. She earned her Doctorate of Philosophy (PhD) in Nursing from the University of Central Florida (less than 1% of nurses have a PhD). While there, she received the prestigious Order of Pegasus award. Dr. Torres-Thomas was also chosen as a Rising Star of Scholarship and Research at the International Nursing Research Congress in 2015. She is a former Associate Professor of Nursing at Herzing University in Orlando. Dr. Torres-Thomas also has a Master of Science degree in Nursing Education from the University of Central Florida, and a Bachelor of Science degree in Nursing from Andrews University. She has given numerous scientific presentations at regional, national, and international conferences. Dr. Torres-Thomas is a member of Sigma Theta Tau, the National Nursing Honor Society. One of the nation’s leading authorities on nutrition, preventive medicine and environmental illness, Dr. Allan Magaziner established the Magaziner Center for Wellness over 30 years ago and presently serves as the Center’s medical director. He is known among patients and colleagues as a compassionate physician and healer who emphasizes empathy and sympathy while truly listening to his patients. Dr. Magaziner has a keen interest in treating chronic diseases including chronic fatigue, fibromyalgia, hormone dysregulation, gastrointestinal problems, learning disabilities, allergies, chronic pain syndromes, and immune disorders with natural, nontoxic techniques that keep the whole body in balance. During his earlier years, he was fortunate enough to complete fellowship programs under the auspices of internationally acclaimed physicians, Dr. Jonathan Wright of the Tahoma Clinic in Seattle, WA and Dr. William Rea of the Environmental Health Center in Dallas, TX where he obtained expertise in clinical therapeutic nutrition, preventive medicine, and environmental medicine, allergy and toxicology. Dr. Magaziner has been treating hormonal imbalances with bio-identical hormones his entire career and has often been cited in many of the popular health books by actress and author, Suzanne Somers. Dr. Magaziner has also spent many years studying innovative cancer breakthroughs from all over the globe, and brings this knowledge and experience to the Magaziner Center’s holistic Cancer Support Program. He has lectured extensively to physicians and the public both in the United States and abroad on health and nutrition-related topics. His engaging personality, coupled with his wealth of knowledge, made him the ideal host of his own radio program “Health Line with Dr. Allan Magaziner” which aired on WPHT 1210 AM (Philadelphia) and he could be seen weekly on the “HealthTalk” segment of Fox 29 News in Philadelphia. He continues to be widely quoted in national medical and consumer-oriented press outlets. Dr. Magaziner’s contributions extend beyond state and national borders. In March 2007, Dr. Magaziner completed his second medical mission in Honduras, where he helped treat hundreds of chronic pain patients with the use of prolotherapy under the auspices of the Hackett-Hemwall Foundation where he gained expertise in treating chronic pain resulting from injuries and arthritis. Dr. Magaziner is the author of four top-selling books, including The All-Natural Cardio Cure: A Drug-Free Cholesterol and Cardiac Inflammation Reduction Program (2004), Chemical Free Kids: Safeguarding Your Child’s Diet and Environment (2003), Total Health Handbook: Your Complete Wellness Resource (2000) and The Complete Idiot’s Guide to Living Longer and Healthier (1999) which have guided thousands of readers toward a healhier lifestyle. A graduate of the Chicago College of Osteopathic Medicine, Dr. Magaziner also completed a Fellowship in Allergy and Environmental Medicine and postgraduate training in Clinical Nutrition and Preventive Medicine. He is a former president of the American College for Advancement in Medicine (ACAM) and has been a member of their Board of Advisors/Directors since 1994. The Magaziner Center often conducts clinical research trials, which has led Dr. Magaziner to be selected as an investigator of the NIH-approved Trial to Assess Chelation Therapy (TACT). The results of this landmark study were published in the Journal of the American Medical Association (JAMA). He is certified by the American Osteopathic Board of Family Practice and the American Board of Environmental Medicine, is a Certified Nutrition Specialist and holds advanced proficiency training in chelation therapy and hyperbaric medicine. 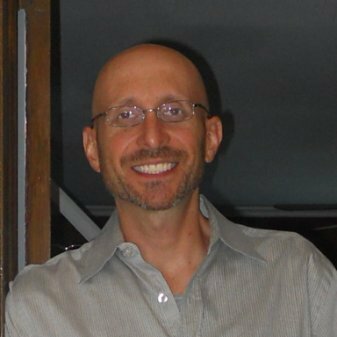 Dr. Magaziner first became interested in nutrition and preventive medicine in his early teenage years when his mother’s health problems were greatly benefitted with a non-pharmacologic, holistic approach. She then opened a health food store where he worked and gained experience during his high school and college years. His interest in the field grew as he later attended medical school and noted that patients were simply being treated with drugs to cover up symptoms instead of investigating and treating the triggers and causes of their disease. This change in paradigm led Dr. Magaziner to open the Magaziner Center for Wellness which has since become a national and international resource for wellness. Insook L. Chung, R.N M.S.N. Alicja Nowak earned her Master’s Degree in Accounting and Financial Management at Keller Graduate School of Management (Paramus NJ) Alicja has almost a decade of years of accounting office experience. Alicja strives to learn new ways of doing things and she is very passionate about her work. Currently, she is a Junior Accountant in CPA Professional Services and also runs the in-house accounting services for KETO-TO-GO. Before becoming an accountant, Alicja was a Communications Associate at the American Museum of National History where she was responsible for media relations support and research, and a Marketing Specialist at Mainpoint Marketing Inc. In addition, Alicja is fluent in Polish & English. Alicja and her 4-year old son are the first two KETO-TO-GO initial food testers when new experiments come out of the Oven or freezer! Adam is a certified public accountant who is licensed in both New York and New Jersey. He is a small business specialist who provides accounting and consulting services to privately held companies in the service sector as well as manufacturers, retailers, wholesalers, real estate professionals, and sales & marketing. Adam & his associate Jonathan Colgary, CPA, PSA, MBA keep KETO TO GO on track with their finances. Trainer Deb Horn is a co-manager of the Glenpoint Spa and Fitness Center at the Marriott Marquis in Teaneck New Jersey. Deborah is regularly involved in training Iris and testing the products that come out of the KETO-TO-GO kitchen. Deb also regularly recruits her trainees to assist in tastings and providing feedback and testing of the various KETO-TO-GO products as they become available. Actively involved with numerous gym members as they attempt to heal their bodies, gain strength, lose weight and overcome a variety of personal physical challenges, Deb is a very active team member with KETO-TO-GO bringing a wealth of knowledge and experience to KETO-TO-GO advancement and focus group testing and confirmation of viability of each new product that is created in the KETO-TO-GO kitchen.